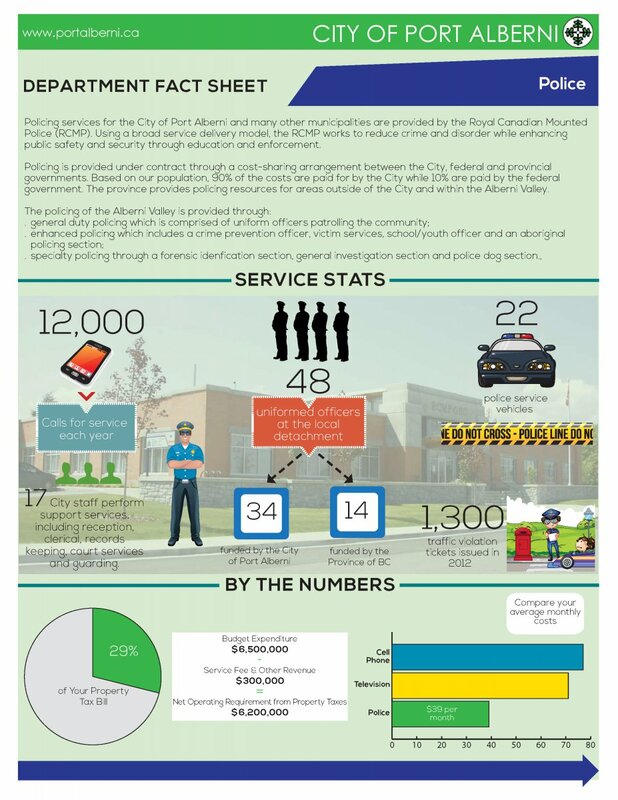 Learn more about the Services we provide by viewing our Policing Department Fact Sheet! If you are dealing with an emergency situation, please call 911 immediately. For non-emergency services or information please call 250-723-2424. 90+ volunteers serving in programs such as the Auxiliary Police Program, Crimestoppers, Speed Watch, Citizens On Patrol and Victim Services. As part of Canada’s national police service, the RCMP in Port Alberni are committed to promoting safe communities through the implementation of viable and meaningful crime prevention initiatives. A recently implemented Crime Reduction Strategy will target prolific and high risk offenders. A key component of the strategy is the collaboration with key community services, departments and resources. This will ensure that the citizens of the Alberni Valley enjoy a high standard of public safety. 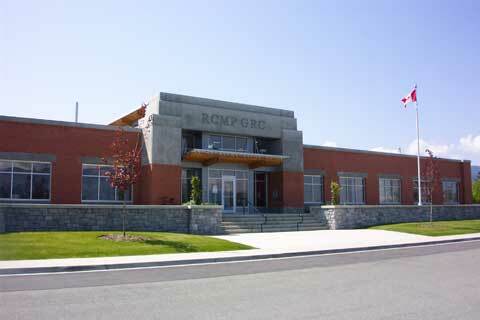 Criminal Record Checks are available and accepted at the Front Counter of the Port Alberni Detachment office and may be processed within one to two weeks. There are circumstances where your Criminal Record Check may take much longer, ie. if fingerprints are required to be submitted and sent to Ottawa, or if we need to contact another police agency for information. If you are a volunteer for an organization that requires a Criminal Record Check, the $30.00 fee is waived. In order to have this fee waived, you will be required to present a letter from the organization confirming your volunteer status. Two pieces of government issued ID are required, one showing a current Port Alberni address. The BC Ministry of Justice also provides online application services. Chauffeur Permits are issued for the current year and are renewable with payment of your fee at the end of each year. Please allow one to two weeks for your application to be processed.